When does Illuminated Clothing Become Fashion? 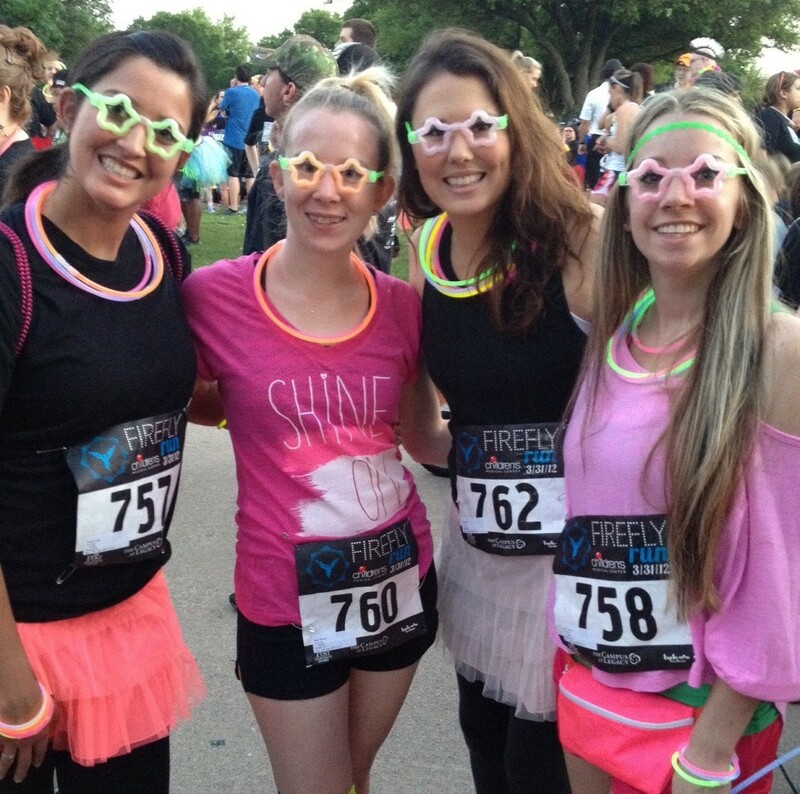 I ran the Firefly Run, a nighttime 5k where people dress up in illuminated clothes to run the race. Some people (like me) simply wore glow-in-the dark accessories, but others went all out in full LED costume! Seeing all of those illuminated outfits at varying stages of design and style got me thinking. At what point does illuminated clothing go from gimmick to costume to fashion? 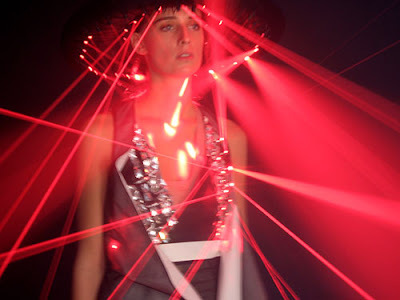 Illuminated fashion is a high-tech style genre that has been around for years, but has yet to take hold in the mainstream, probably because it’s mostly seen as impractical, and tends to fall into the “fashion of fashion’s sake” category. And, just as with many other styles, it is very easy to get wrong. Project Runway did an Illuminated Fashion challenge this season, and while the clothes ended up looking cool the illuminations served no function. I think FashioningTech’s post is spot on when it says that all of the designers missed the mark, and were stuck in a stereotypical mindframe. This is how most of the world sees “illuminated fashion,” and it is difficult to change paradigms and mind-frames. Illuminated fashion can be seen as an extreme or gimmicky, but can actually be found fairly easily and can look good in formal fashions. 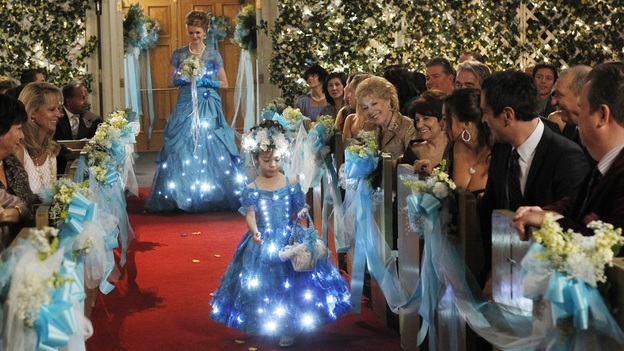 For example, the bridesmaids and flower girl dresses in the wedding recently featured on Modern Family. In fact, you can actually custom order an illuminated wedding dress or a variety of other illuminated garments from Enlighted. Aside from the wedding dress, which I think turned out beautifully, although I would not have chosen yellow, Enlighted’s designs tend to fall more into the costume category, in my opinion. Part of the reason behind that, is probably their client-base, who seems to be Vegas-type shows, but I honestly think part of it is that Enlighted has been in the business for 14 years, and although on one hand, that is a good thing, meaning they have lots of experience, on the other hand, I think it is easy to get stuck in a style rut, and get stuck with one type of look.